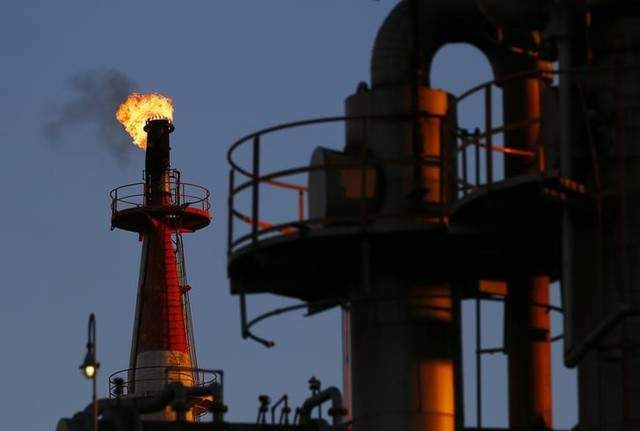 LONDON: Oil rose above $48 a barrel on Wednesday in response to a fall in U.S. fuel inventories and a cut in the U.S. government's forecast for crude output next year which raised hopes that a supply glut is easing. "While further upside could be expected in the short term amid the speculations of a cut in U.S production, gains may be limited by the firm oversupply dynamics of the markets," FXTM analyst Lukman Otunuga said. The supply cut led by the Organization of the Petroleum Exporting Countries has lent prices some support, but in recent weeks rising output from Libya and Nigeria - OPEC members exempt from the deal - has pushed supply higher.